No doubt that if you ask people who would be the top 10 great technology influencers of all time they’d probably give a 10-1 list starting with Marissa Mayer (Yahoo), Tim Cook (Apple), Jeff Bezos (Amazon), Ginni Rometty (IBM), Sheryl Sandberg (COO,FB), Mark Zuckerberg (Founder, FB), Meg Whitman (HP), Larry Page & Sergey Brin (Google), Bill Gates (Microsoft) and Steve Jobs, which need no further description. Content marketing produces 3 times more leads. It the most productive channel. The Technology is the biggest content publisher and gets the biggest ROI ($1B+) among other industries. The main objective of content marketing is to drive quality traffic to your site. 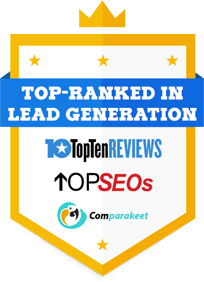 With regard to lead generation, Kapost found out in his study that content marketing delivers higher revenue than paid search. Factors that influence this analysis includes content expense, traffic patterns, conversion rates, and keyword prices. Mobile has influenced consumer spending by over $1 trillion. 90% of smartphone users use their phone at the point of purchase in brick and mortar store. A search on mobile easily leads to action. 92% of people who search on mobile most likely end up making a related purchase. Therefore, mobile plays a big role in converting a visitor into a buyer. In fact, in 2016, about 59.5% of Google’s net global revenue was delivered from mobile internet ads. Facebook mobile ads count for 79% of its business. It is also predicted that desktop advertising will account for 42% of all internet advertising while mobile advertising will have larger share with 58%. Facebook, aside from prioritising longer videos in timelines to improve the customer experience, went on to introduce mid-roll ads into those videos, which gave it a whole new source of revenue. Youtube previously got in hot waters when it was revealed that a number of advertisements were appearing on videos that promoted extremist, hateful and inappropriate content, impacting a number of advertisers to withdraw their business, which left YouTube rumpling to reorganize videos in an attempt to pacify them. YouTube then pushed out an update to correct the quite harsh approach. They are expecting 30 percent fewer videos will have to make do with fewer ads and push their way to become fully monetised, which should lead to “millions” more videos raking in full income going this 2018. Instagram Stories rose to 100 million daily active users in two months of launch. As of November 2017 that figure soared to 300 million. Marketing channels and content greatly influence technology customers buying behaviour. Although content poses the biggest share of influence to customers among industries, mobile and social equally shaping customer purchase decisions.